"Her passing was hastened by her continued frustration with the Trump administration," read one of the lines from Frances Irene Finley Williams' obituary, according to the Louisville Courier Journal. About six months before Williams' death, she told her daughter, "If I die soon, all this Trump stuff has had an effect." So following Williams' death Nov. 21, her family prepared her obituary and submitted it to the Courier Journal, along with a check for $1,684.44. The obit described the woman as an opinionated, passionate Democrat who loved dancing, babies, cats, dogs, Elvis Presley, Willie Nelson and more, along with the offending political statement about the president. But the newspaper said it would only run the obituary in its print edition if the line about President Donald Trump was stricken. "We are not able to publish the obituary as is, due to the negative content within the obituary text," Gannett's obituary office in Wisconsin wrote in an email to the family. So the family removed the sentence and moved on with the memorial service, which was held in late December. But the woman's son, Art Williams, wouldn't let it go. He took Facebook to air his grievances. "I was — and still am, dumbfounded, surprised — but most of all disappointed and aghast," Williams wrote on Facebook. As a longtime subscriber to the newspaper, he pointed out that the newspaper exists "by reason of free speech." "My mom would have been offended — and I hope you are too," he added. The company said it has a policy of banning "negative content" in obituaries. It's unclear how long the policy has been in effect. But Gannett's West Group Director of Sales Laurie Bolle said the decision to reject the obituary as it was originally written was a mistake. She said the company's policy on negative content in obituaries is not "based on political views." 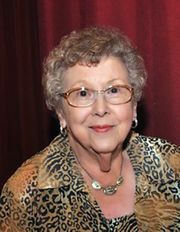 "Mrs. Williams' obituary should have published as it was presented to our obits team and as requested by the family," the Courier Journal's Editor Richard Green said. "In this political climate we now find ourselves, partisanship should have no role in deciding what gets included in an obituary that captures a loved one's life — especially one as amazing as what Mrs. Williams led. I'm certain she is missed greatly by those who loved her. We send the family our deepest condolences and apologies." Art Williams told the newspaper that he just wanted to get the issue "off his chest" when he posted his Facebook rant. But now, he said he would appreciate an apology and that a refund to his 92-year-old dad for the obituary would be even better.